The FFS activities are based on discovery based learning process through non-formal adult education techniques involving simulation and group dynamic exercises. Farmer Field School is a school without walls and farmers and extension workers are students. The farmer’s field is the classroom and plant is the teacher. Caritas Pakistan has produced a farmer kit for members of farmer field school to facilitate them in collecting different data. This kit will make their data more authentic and help them to compare and analyze different aspects of integrated crop management consisting of measuring tape, magnifying.The farmers to color sketches of plant, weeds and pests as per their observations use color pencils.These farmer kits have been distributed among members of different farmer field schools set up in different dioceses.Caritas Pakistan launched and introduced “farmer kit for data collection” to the representatives of 12 member organizations from South Asia and South East Asia on the first day during their country presentation in Caritas Asia regional farmer conference held from 21-25 April, 2015 in Dhulikhel, Nepal. Representatives from Pakistan and other countries who graced this launching ceremony included Mr. Amir Irfan from, Dr. Haridas (Cream Coordinator from Caritas India), Ms. Adriana Opromolla (Advocacy Officer for Climate Change and Food security CI), Ms. Pihil Waththe Gedera Yasomenike (Woman farmer from Sri Lanka), Mr. Amir Yaqoob (Livelihood Coordinator from CPM), Ms. Elizabeth Qayyum (Woman farmer from Pakistan), Ms. Wanphen Khemanucheta (Caritas Asia), Ms. Shumaila Rafiq (Woman farmer from Pakistan), Ms. Bichittra Chicham (Woman farmer from Bangladesh) and Ms. Muna Shrestha (IPM Technician Caritas Nepal). Caritas Pakistan Multan organized four training workshops on Women Entrepreneurship for unskilled women in district Layyah, Muzzaffargarh and Multan. After workshops some women beneficiaries received raw material for making surf, powder, perfume, vim and shampoo. Mr. Shahid James social mobilizer facilitated these training workshops. A total of 09 trainings, 287 (219 female/68male) participated including practical demonstrations were conducted to promote trend of growing vegetables for household consumption. Livestock is an important asset of farmers, which contributes significantly in earning income through milk and meat production. Rearing of livestock is one of the pre-requisites to achieve the goal of developing a sustainable agriculture model for improved livelihood. Livestock is also the primary and basic source of farmyard manure, which is used to restore soil fertility. Realizing the importance of livestock, the awareness & vaccination camps were organized in the six dioceses. Total 31 camps were organized and 20,312 animal vaccinated. Caritas Pakistan dedicated last week of April (24-30 April, 2015) as “Week of Action” to complement one human family: food for all campaign across the country. Series of events were organized at diocese level to observe Week of Action. Caritas Pakistan Multan celebrated week of action with a seminar on food for all campaign with students of St. Vincent High School, Chak No. 133/16-L, Amrit Nagar, Mian Channu. In this seminar 95 students participated. Caritas Pakistan Karachi joined global vigil prayer service on December 10 on the closing of CI’s campaign, “one human family: food for all”. After prayer service, a special offering of different food items like sugar, rice, pulses, milk, tea leaves, fruits and vegetables were presented by Caritas office to the old people living in St. Vincent’s Home for aged. 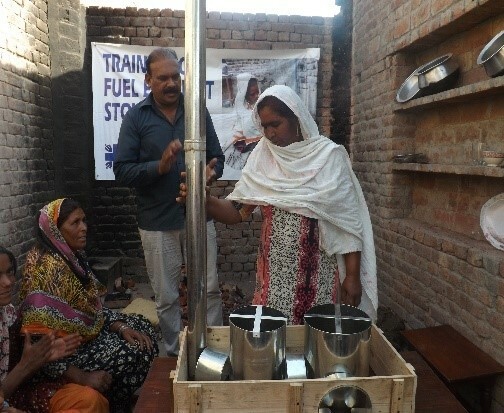 Caritas Pakistan Multan constructed a (01)bio-fermenter at village No. 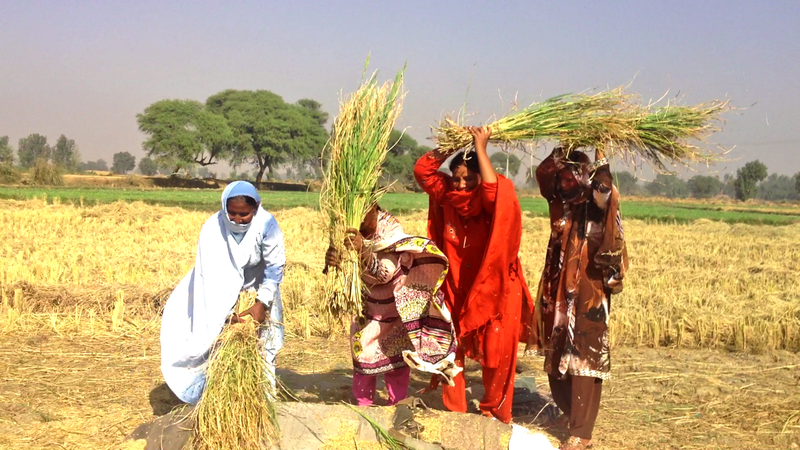 83 – 85/10-R, Khanewal district on July 11, 2015 and Caritas Pakistan Hyderabad’s Livelihood and Food Security Program constructed two (02) at village Mir Shahdad Khan Talpur, UC Daulatpur, Tehsil Mirpurkhas, District Mirpurkhas and village Budal Leghari, District Sanghar. Bio fermenters are the first step for the promotion of organic agriculture and environment friendly practices. It is a fertilizer factory at farmer’s field and will reduce farmer dependency on chemical fertilizers lowering cost of production and making soil healthier. Seed Bank was established at Village Dayo Patel and farmers were mobilized to become members of this seed bank to preserve quality seeds. A total of 110 farmers received wheat seed from their respective seed banks. Initially 13 farmers from Dayo Patel received the wheat seed from the Seed Bank. Caritas Pakistan organized two day training on Food Security and Climate Change from June 24-25. A total of 25 participants consisting of farmers, students, social mobilizers and Coordinators participated in this training program. 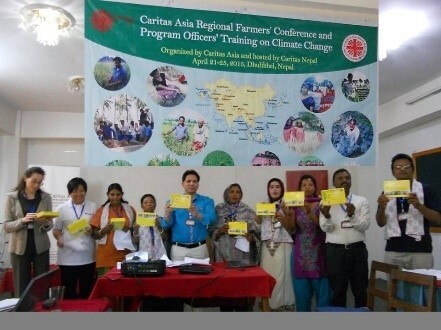 South Asia Farmer Conference supported and organized by Caritas Asia and Caritas Nepal respectively was held from April 21-25, 2015 in Dulikhel, Nepal. Mr.Amir Irfan, Mr. Amir Yaqub and two women farmers from Multan diocese represented Caritas Pakistan in this event. Team from Caritas Pakistan also exhibited different crop varieties sown in Pakistan, organic crop samples, and photographs of sustainable agriculture work in Pakistan. ⇒ 07 farmer field schools were established benefitting 175 farmers and promoting crop management techniques. Farmer capacity is enhanced on better crop management practices and helped them to realize reducing cost of production and conserving nature. ⇒ The farmers are using farmer kit for data collection. 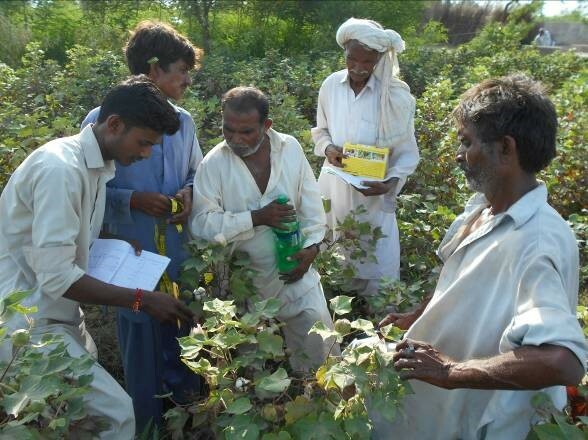 The introduction of farmer kit for data collection has attracted and motivated the farmers. It has become easier for them to collect data and realize importance of data for measuring impact of different inputs and practices. They are making relevant and timely decisions based on their data. ⇒ A total of 612 fuel-efficient stoves have been installed and the same 4658 beneficiaries are using these fuel-efficient stoves. It was reported by most of the families that these stoves have minimized 25-30% firewood consumption and saved time and money of the beneficiaries. ⇒ A total of 20312 livestock was vaccinated and 534 treated in 31vaccination camps and seminar of 6912 beneficiaries, which minimized vulnerability to infectious diseases. Collaboration with Livestock and Dairy Development Department successfully, strengthened the linkages of Caritas Pakistan and enhanced awareness of the farmers on prevention of infectious livestock diseases. ⇒ Inter-faith harmony is being very well promoted through different activities. It is quite encouraging that Christians, Muslims and Hindus are the beneficiaries of different activities and supporting one another and the program team in the respective dioceses. ⇒ The distribution of agriculture inputs to beneficiaries has enabled the beneficiaries to improve their livelihood activities and food security status.